I’m getting ready to finally have a much needed yard sale, to then finally turn my spare room into a home office!! I have lots of exciting plans for my spare room/home office/guest room, haha! I want it to be a multi-purpose area. Where I can still house a guest! There are so many things for me to consider though. I want it to remain an area for my cats, my office, guests, and yoga. That’s ALOT to squeeze into one little area, but I think with lots of organization and the right furniture, it can be done! I’ve been a pinning fool lately to find some home office ideas, follow me on Pinterest if you’d like. I found so many cute ideas. And most of them are similar. 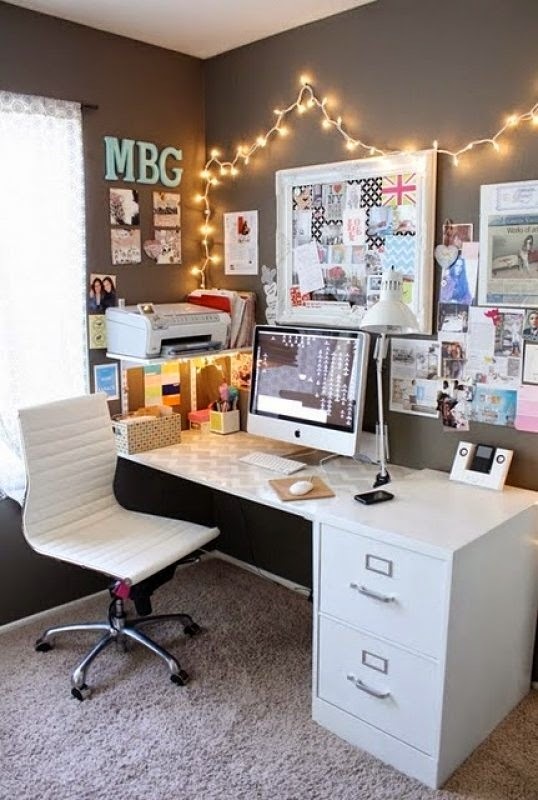 I’d really like a white desk, and some cute wall art. I’ll need some filing cabinets, and some sort of bed or something that can be used for guest. 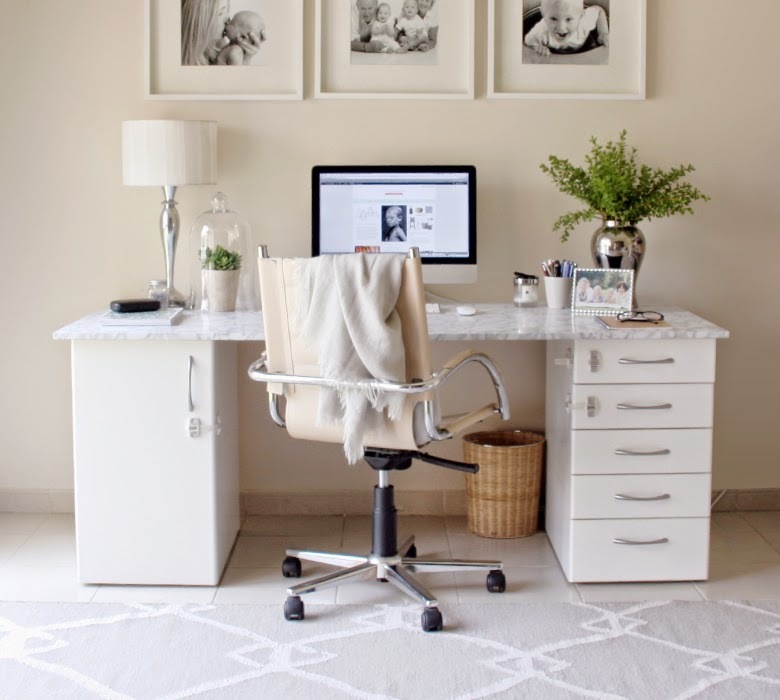 So here are a few of my favorites home office inspiration that I found through Google or Pinterest! 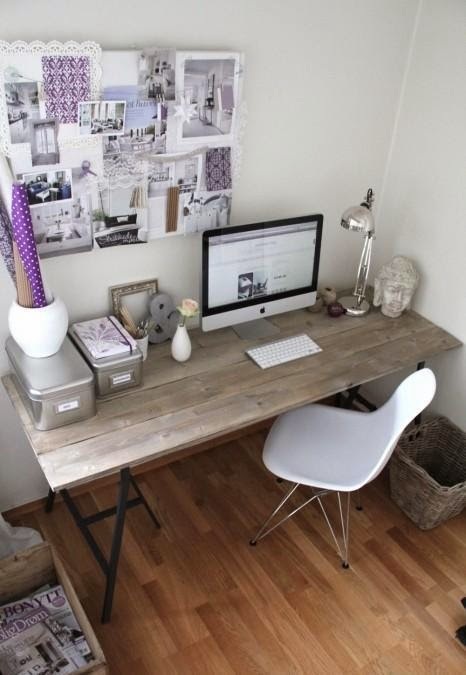 -For this one, I really love the decor and the wood top is just freaking cute! -This is probably my favorite so far!! When I first came upon this post of the DIY marble desk, I thought “oh man that looks expensive” and I thought it was actual marble on top. To my surprise, I looked up the article to get the DIY instructions and it was just some kind of contact paper over another table top! This could be done so many different ways, with filing cabinets or side tables too! I really love the whole design for this one! The lights, the desk, EVERYTHANG! I couldn’t find the original source. So if anyone knows where this is from please let me know! I LOVE IT! Next I needed some ideas as far as a bed/sitting area for guests! I didn’t really find anything spectacular on Pinterest for this but I did see some futons and day beds I liked! 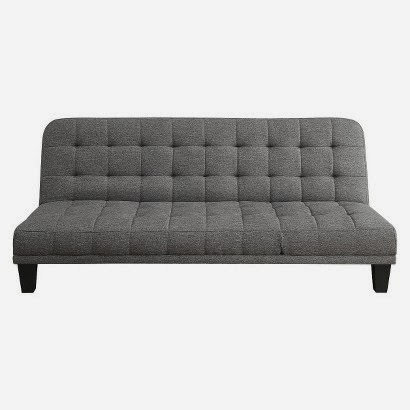 I absolutely LOVE this futon. I love the style and the color! It’s a good neutral and it would also happen to match the color scheme I want to go with! This is an excellent option from Target! This is probably my favorite out of these! Also another great option from Target! I can always count on target for the cute stuff!! 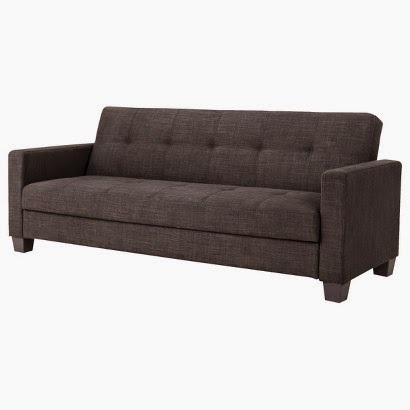 These are my TOP 3 favorites as far as bedding/seating and for a desk/desk area! I cannot wait to get started cleaning out my office and to show the progress as I go. My first step is to go through all my stuff in the current “junk” room to get ready for my yard sale. The money from the yard sale will help me buy some of the needed furniture. paint, and accessories!! I cannot wait! I hope you were able to get some office/guest room inspiration from me! Comment below if you have any questions or anything at all!